+31(0)411-795028 Contact us for advice or an appointment. Verdampère.nl is specialized in overhauling parts of LPG and CNG installations. We replace and mount these parts of your LPG and CNG installation. This all is being done with utmost care and for the most competitive prices. We are specialized in localizing and repairing malfunctions of your installation. There is being listened to the customer's story and tried to track down the cause of the problem by logical thinking. In agreement with you we search for the best and cheapest solution to make sure you never pay too much. Naturally you get guarantee on the supplies and services provided by us, so that the pleasure will not be short-lived. 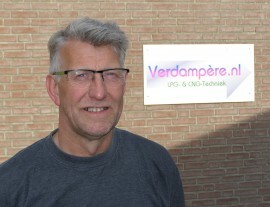 Verdampère.nl also owes its success to the fact that not enough garages and dealers have sufficient knowledge about gas installations, causing LPG drivers to stuck with problems and/or too high costs.